Woman 2.1 Summit, an award winning movement that brings together ambitious,forward thinking and successful women (and men) with audacious dreams ,big ideas and compelling stories that changes the out dated perceptions of Africa is set to hold another summit on the 18th & 19th October. This year's Summit is going to be hosted by Ms Anita Erskine,a communications entrepreneur,who has distinguished herself in media, leadership and business, and has over a dozen business leaders speaking,mentoring and giving one-on-one coaching to attendees. 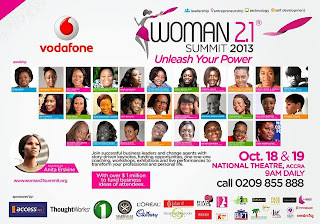 Speakers include; Uche Ofodile, Chief Marketing officer of Vodafone Ghana; Anne Welsh, Chairperson of Olushegun Obasanjo Foundation; Ellen Hagan,Ceo of L'AINE Services; Gloria Buckman Yankson, Senior Partner at PlanIt Events Ghana; Betty Enyonam Kumahor, MD for Africa Thoughtworks Inc; Constance Swaniker, CEO of Accents and Arts; Edith Dankwa, Executive Director , Business and Financial Times; Joyce Ababio, CEO of Joyce Ababio College of Creative Design and Shirley Acquah Harrison, Director of Marketing, Graphic Communications Group. More speakers at this year's summit are Eunice Ijeoma Ogbugo, Founder and CEO of Eugo and Terrano; Aisha Ayensu, Creative Director/Fashion Designer of Christie Brown; Roberta Annan, Founder/CEO of Roberta Annan Consulting; Hannah Acquah, Business Development Manager of Acumen West Africa; Dr Anita Defoe, Leadership Development Solutionist; Yvonne Witter, International Enterprise Consultant; and Matilda Asante , Group head of Corporate Communications and Brand Management, Access Bank. With it's core mission to develop and raise a new generation of Women leaders to improve the state of Africa and inspire the next generation,Woman 2.1 this year will focus primarily on leadership, entrepreneurship,technology,and self-development as practical tools to enhance the professional and personal enhancement of attendees. 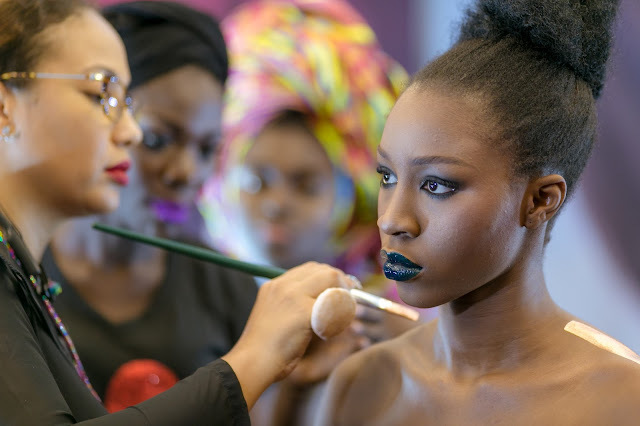 Sweeping a huge following since it's inception in 2009,Woman 2.1 has grown quickly to become a favourite platform for ambitious Women in Ghana and Africa who want to be groomed to excel in the fields of business, leadership and entrepreneurship. For the first time since it's inception, female entrepreneurs with a business idea who need a seed capital of about 4000 Ghana Cedis have an opportunity to apply for funding, courtesy an over 1 million Dollars,allocated to Woman 2.1 by Acumen, a non governmental organisation that invests in ideas, leaders and companies to fund business ideas of attendees. 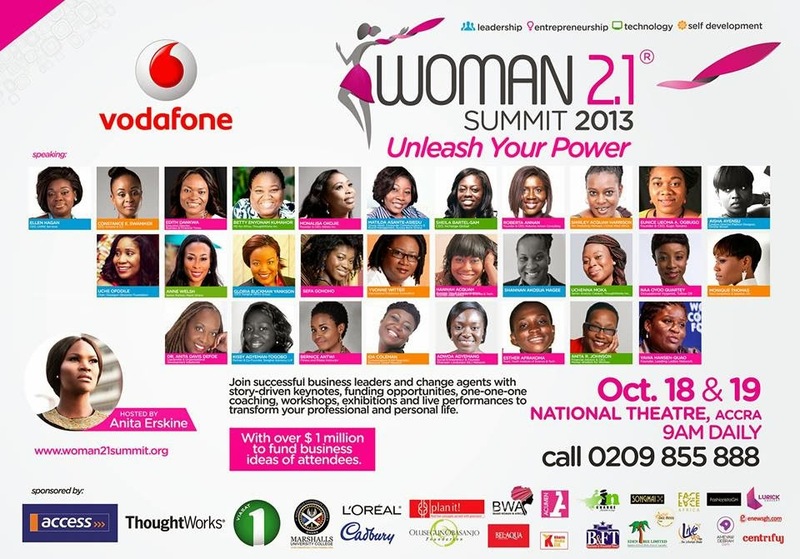 Woman 2.1 Summit 2013 is powered by Vodafone Ghana,and sponsored by Thought Works Pan Africa, Access Bank, Brand Woman Africa,Viasat 1 Ghana,PlanIt Events Ghana, Marshalls University College, Live Fm, Kharis Media, Promobile Gh, Songhai Africa, Nehita Inc, Olushegun Obasanjo Foundation, Acumen, Eden Tree, Cadbury, Bel Aqua, Cafe Dez Amis, InCharge Global, FashionistaGh, Enews Ghana, Ameyaw Debrah, Lurick Concept, Nibbles, Evita Joseph & Centrifuj. This a great opportunity for most young ladies especially to reinvent themselves, improve their business and life with technology,elevate their careers and receive funding for their businesses. It's happening at the National Theatre, Accra - Ghana 9am daily. Take that final leap of Faith to Unleash your power. 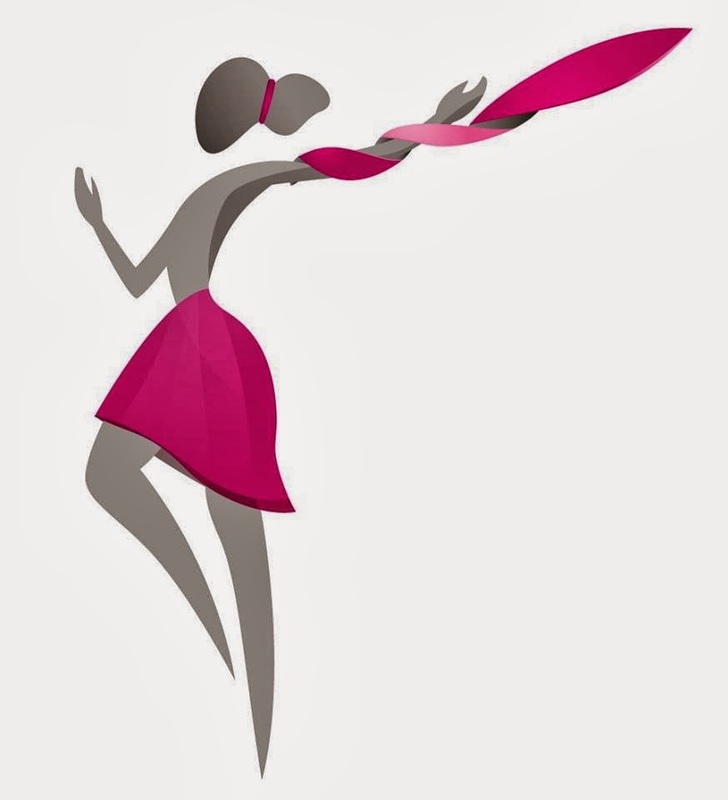 Visit http://www.woman21summit.org/ to find out more or contact Woman 2.1 on 0209 855 888.